I am no self proclaimed baker. In fact I am much a novice starting out. 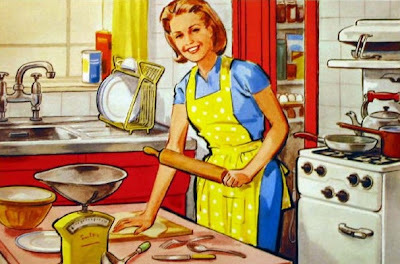 But I seem to have developed a desire for baking, especially since it’s got a lot colder outside. 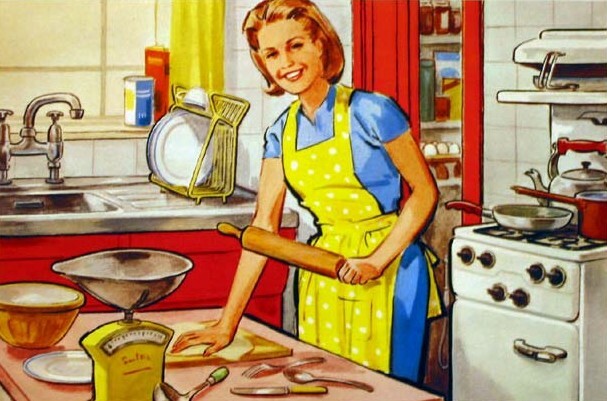 It got me thinking about how baking is now something us girls have rather glamorized. No longer is it seen as a ‘Grandma’ activity. No not at all, it is so much more a desired lifestyle, to be able to bake wonderful delights in the comfort of your own home. Like many home projects it’s the satisfaction you get from being able to say "I made that". I am not the neatest of people, and I found that with my attempt at Butterfly buns on Friday. It was a messy affair to say the least, one that resulted in me getting icing sugar all over my top! But these buns were scrummy; the taste was melt in the mouth. I did go to town with the butter cream and jam, maybe too much for some people’s liking, but that’s because I’m naturally greedy! Me and the Mr then made a leek and blue vinny tart from the River Cottage everyday cookbook on Saturday, we did cheat a little bit and buy the pastry. But we did make up for this by using some of our own home-grown leeks from the garden. This could just be the start of a new love affair for me, do you share a similar love for home-baking? I'd love the recipe for the leek dish. That's such a coincidence, Alice! I picked up a 1966 homemaking book at the weekend and in it there was a recipe for butterfly cakes. I haven't seen any for years, yours look very professional. My attempts at school were a disaster. p.s i love that alice plate!!!! Oooh, I'm very impressed with your baking efforts! I adore River Cottage so I'm loving that you've made one of the recipes! I love the overload of buttercream and jam too (; Nom nom. Ooh it all looks scrummy! I LOVE baking - pottering around in the kitchen is one of my favourite pastimes. yum the butterfly cake looks really good! Yum, leek is my fave. and that fairy cake looks divine! mmmm, that tart is making my mouth water just looking at it! It looks completely divine! They all look so yummy! I haven't made butterfly cakes in ages!